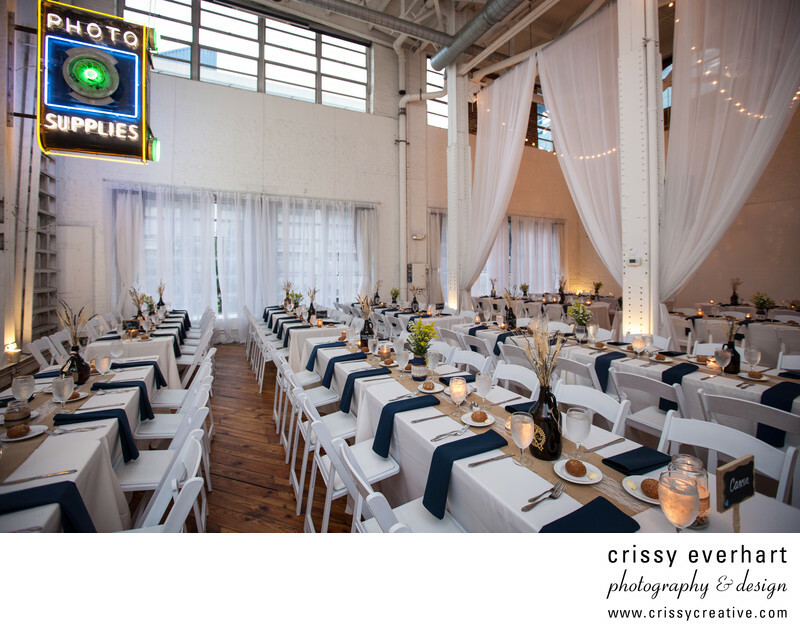 Neon Photo Supplies sign, white table cloths with navy napkins, wheat grass in glass bottle centerpieces and white curtains decorate this photo studio turned reception site in Old City, Philadelphia. Power Plant Productions boasts white walls and wooden floors and is located within walking distance to the Race Street Pier. Location: 230 N 2nd St, Philadelphia, PA 19106.